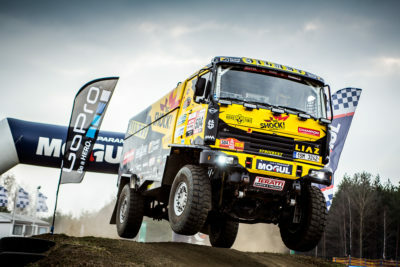 Martin Macík won the third place with his Liaz truck, just behind Vila Roca and De Rooy. All that despite robbers who stole the team’s equipment and racing without brakes most of Saturday. 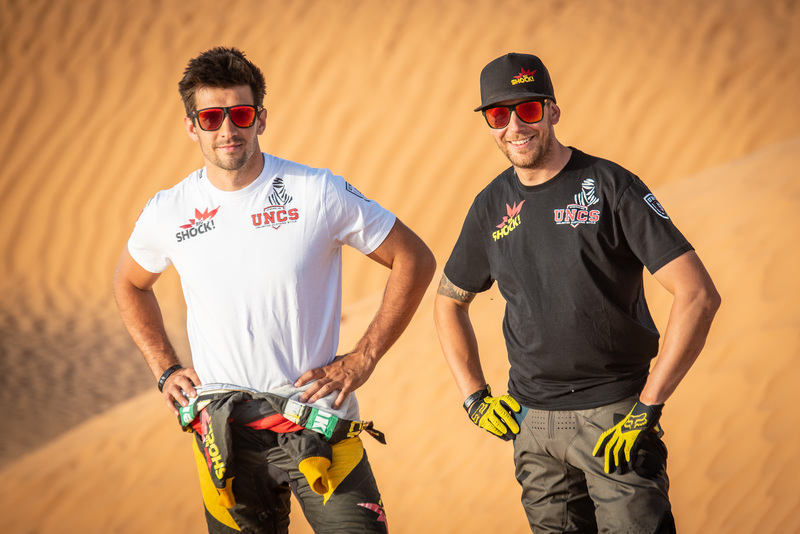 On their way to the Baja Aragon rally, KM Racing and its truck pilot Martin Macík Jr. had a stroke of bad luck as their multi-van had been robbed. 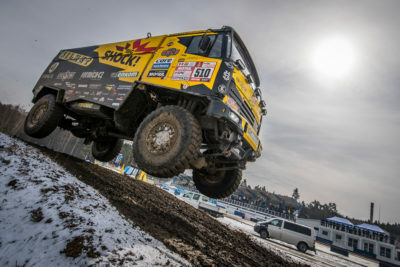 But the crew kept their cool and finished in the third place in the rally, which is another important step towards the 2016 Dakar. Given the tough competition and the bad luck, the position is even more valuable. The Baja Aragon started on Friday by a 5-kilometre prologue. The starting list included renowned Dakar racers, such Gerard de Rooy, Artur Ardavichus and Pep Villa Roca. Besides, there was a number of other Czech, Dutch and Spanish teams. In the tough competition, Macík’s crew scored a great third place in the opening stage. For the crew consisting of Macík, the navigator František Tomášek and the mechanic Michal Mrkva it was a perfect way to start the race and gain a solid footing for the demanding second day. There were two stages ahead of them on Saturday – the first one had 150 km and the second one 270 km. “Sadly we drove most of Saturday without brakes. In the mountain terrain that was quite a problem. At places where normally we would have pushed the brakes to the limit, they did not work at all. There was nothing else to do but start engine braking way ahead of every turn,” described Macík the unenviable situation. “Several times I even had to put the truck on reverse in order not to send us into a ravine. It was tough and very demanding, but surprisingly we did not fall too much behind despite this driving style. 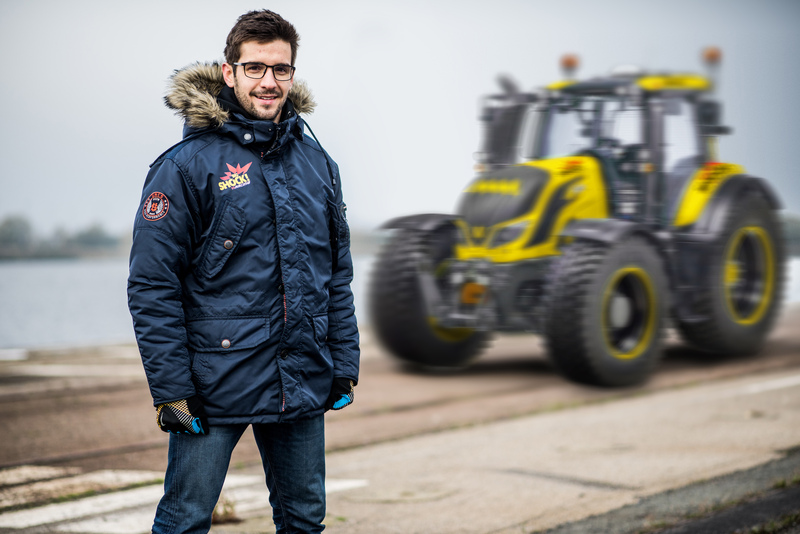 But we all really had to step up our game, the track was very rocky just like the real Dakar, fast and very technical. Apart from the faulty brakes, the vehicle performed great, though,” added Macík, whose crew finished the Saturday stages in the fourth place. For the final 125 km long Sunday stage the brakes had been fixed so the crew could again seriously think of a good position in the finish. “I gave it my best. For sixty kilometres I was tailing Tomáš Vrátný in the dust, tried to push ahead and then he blew a tyre. I overtook him and ahead of me was Villa Roca. But it was impossible to get ahead, so we finished behind him in the third place. Given the Saturday without brakes, the third place is a great result. And we were still the best Czech crew,” commented Macík on the final results. “And we achieved it in a very fast race, on a rocky dirt track, in dry, hot and dusty conditions – it is priceless experience. Of course we were lucky to avoid defects – we watched out for dangerous rocks. In three weeks we will race in Hungary in much more different conditions, but again we will do our best to achieve a good result,” concluded Martin “Mates” Macík. The crew plans to participate in another two big races – Baja Poland and HunGarian Baja. Martin won the Hungarian rally last year and this year he will take with him a fan to Hungary to offer him or her the great opportunity to experience the atmosphere of a world championship race. This special treat will go to the fan who supports him by collecting the highest number of iPoints on his behalf in the Todokazeme.cz funding project. The lucky fan will be able to look behind the scenes of a big rally and become a member of KM Racing for a few days. This year the HunGarian Baja takes place from 13th to 16th August.